Can handle Flow Rates of upto 5,000 LPH. 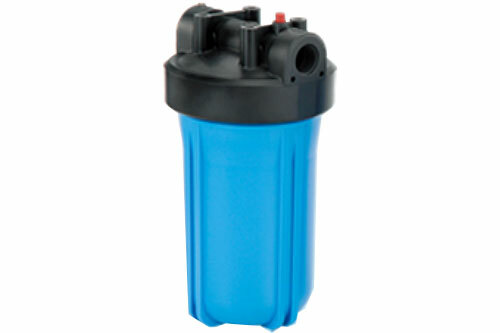 Spun and Wound Filter Cartridges available. The large capacity Big Blue housings are available with either 1" or 1 1/2" NPT for versatility. The sumps are constructed of reinforced polypropelene and are now available in two cap styles. The larger body size allows for greater cartridge capacity, thus reducing the number of vessels normally required in parallel installations. Housings are available in 10" and 20" lenghts to best meet your needs. Available with either 1" or 1.5" NPT for versatility. Housings are available in 10" and 20" lenghts to best meet your needs. Suitable for Municipal and borewell water with suspended solids of less than 5NTU.